If you are looking for information on the Skyhawks Sports Camp franchise business opportunity, Skyhawks Sports franchises or Skyhawks franchising, then you have come to the right place. Since 1979, over 1,000,000 children have participated in a Skyhawks program! 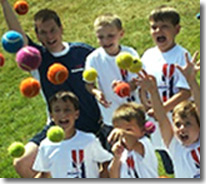 Skyhawks is the nation's leader in sports programs for children." Skyhawks is a brand with national exposure and appeal - and offers you a dependable and rewarding business to own. 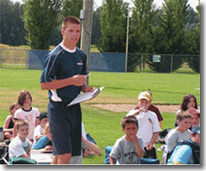 With the Skyhawks system, you will teach children and young adults meaningful life lessons through athletics, provide coaching services and operate athletic camps and programs in a variety of sports for local schools, park and recreation departments and other community-based organizations - wherever children are found. Ultimately, you will make a difference in your world.